Natural alkaline water is simply referring to what happens in nature when water passes through calcium or magnesium in the soil. For instance, there are some regions where the water is naturally alkaline, because there is more calcium in the soil. I have that situation here in St. Louis. Our water out of the tap is naturally alkaline, at 9 pH. Alkaline water is an entirely different concept than "ionized water". What happens when the water has been ionized is that the water has been split into two streams and in the alkaline stream there is a high concentration of molecular hydrogen antioxidants. Or in the case of a hydrogen machine, the molecular hydrogen is pumped into plain water to force it to contain large amounts of molecular hydrogen antioxidants without raising the alkalinity of the water. I invite you to visit our Molecular Hydrogen page where we have listed dozens of medical studies, along with simple explanations, which validate the health benefits of molecular hydrogen antioxidants to one's health. The links on the page are just a sample of the many more hundreds of studies that have been and still are being done with molecular hydrogen. There are companies which sell water filters, claiming that theirs is natural vs artificial alkaline water. We have evaluated their statements and feel they are misleading. 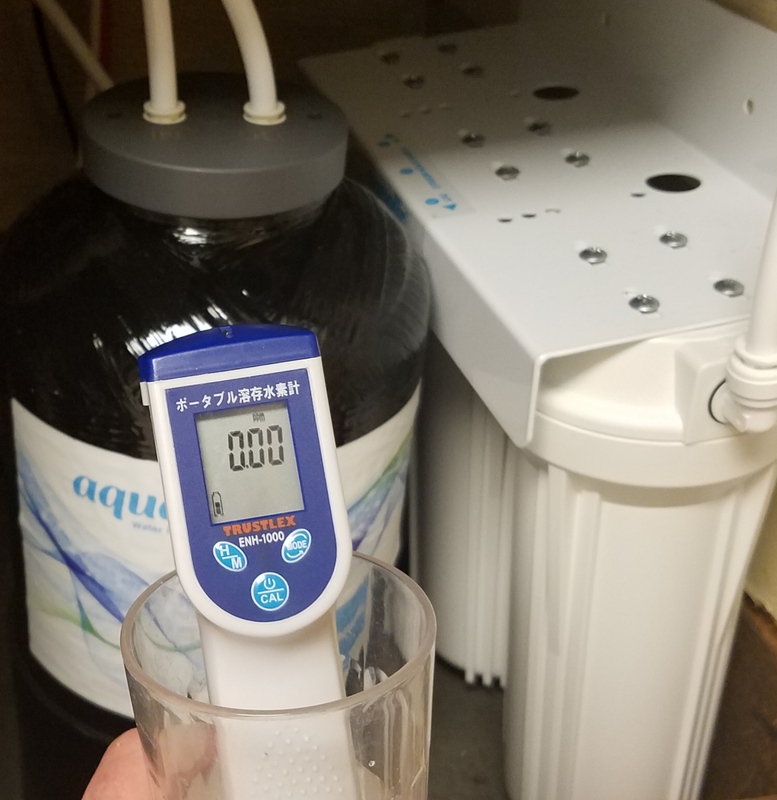 For instance, one particular company compares their product to water ionizers, however we found upon testing that the water produced by their product contained no (zero) molecular hydrogen antioxidants. (Note: Molecular hydrogen antioxidants are the most significant and important ingredients in ionized water). I at least expected to find a tiny amount of it. It was very disappointing. On their website they clearly try to compare their product to water ionizers, and they even use words such as "natural" vs "artificial". It lead me to believe they were claiming to be selling a "natural water ionizer" or "natural hydrogen water maker". They filter the water and then it spins through a vortex. I really expected to see some kind of hint that their filter ionized water. But to find zero antioxidants in their water was the last thing I expected. I don't respect this type of marketing; it is silly, and I call it "hype". We sell natural alkaline water filters, electric water ionizers, molecular hydrogen machines and plain water filtration systems, so sell it all and love all kinds of filtered water. We don't like hype though.